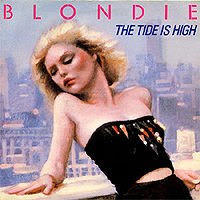 Blondie made this a new wave #1 smash in 1980, but who knew that it was actually a cover originally performed by a 60s reggae group called The Paragons. Anyway, I have no real special connection to this song, but it's a lot of fun to play. And I particularly like singing the line, "I'm not the kind of girl who gives up just like that."